Businesses face a variety of consequences if the building is infested by pests. Many types of pests will enter the commercial property in search of food, water and shelter from the elements. They can quickly build nests out of sight, so it is important to be able to recognize the early signs of an infestation. This information is valuable when you need to make a decision on how to deal with the problem. Businesses can face fines, fees and other penalties if the pest infestation is not eliminated. Pest infestations are common in residential buildings, and most people understand that this happens when the pests are searching for food and water. However, the attraction to a stable source of nourishment is not limited to homes. Pests will also enter commercial buildings, warehouses, offices and other businesses. They will also seek shelter from harsh elements, and they tend to infest the property during times when the temperatures are extremely hot or cold. Pest feces: Many pests leave a trail of urine or feces behind, and this substance can leave a foul odor in the air. Although it is distressing to see this particular sign, it does allow you to become aware of their presence and take action. Nesting materials: Many insects and rodents will build nests from different types of materials, which they can find lying around on the floor. They can also build their nests by using parts of the building itself, and this activity usually leaves some kind of a trail behind. Be aware of any unexplained debris that appears suddenly. Damage to the building: Pests like rodents and termites will actually use the wood that they can find inside of the building to construct a nest. Some of this damage will be invisible, but some of it might show. Be aware of any structural damage that could be caused by pests. Some rodents will chew into wires, for example. Our service providers have the experience and skills necessary to detect and eliminate various types of pests from your commercial property. We can help you to prevent damage to your reputation by efficiently exterminating pests from the building. To make an informed decision, you require reliable information about the early signs of a pest infestation. For the best results, act as quickly as possible. 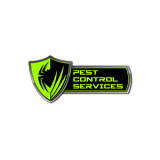 Our service representatives can answer any questions you may have about the specific types of pests that tend to enter commercial buildings. For additional information, or to get a quote on our services, contact Pest Control Services today.